Iranian President says murder of Saudi journalist Jamal Khashoggi would have been unthinkable "without US backing." 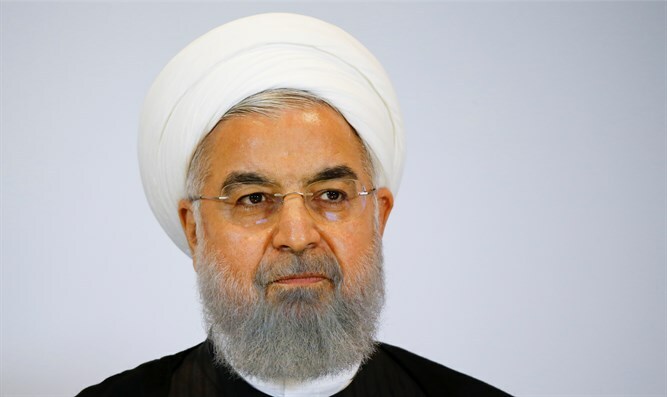 Iranian President Hassan Rouhani on Wednesday said that the “heinous murder” of Saudi journalist Jamal Khashoggi would have been unthinkable "without US backing," AFP reported. "I don't think that any country would dare do such a thing without US backing," he was quoted as having said in remarks to cabinet. He added, "It is extremely significant that an institution planned such a heinous murder. The tribal group that is ruling that nation (Saudi Arabia) has a security margin. That security margin is that it relies on US backing. It is this superpower that is backing them." On Monday, Trump said in an interview with USA Today that he still believed Khashoggi’s murder was “a plot gone awry”. The two countries back opposing sides in countries such as Syria, where the Iranian regime supports President Bashar Al-Assad while the Saudis back the rebels trying to oust him.